Conducting a research on cycle fib fragmentation and gradients of trendlines . Passing above green curve and the regression level is most likely to be a challenge. Comment: Black line is a major support level. 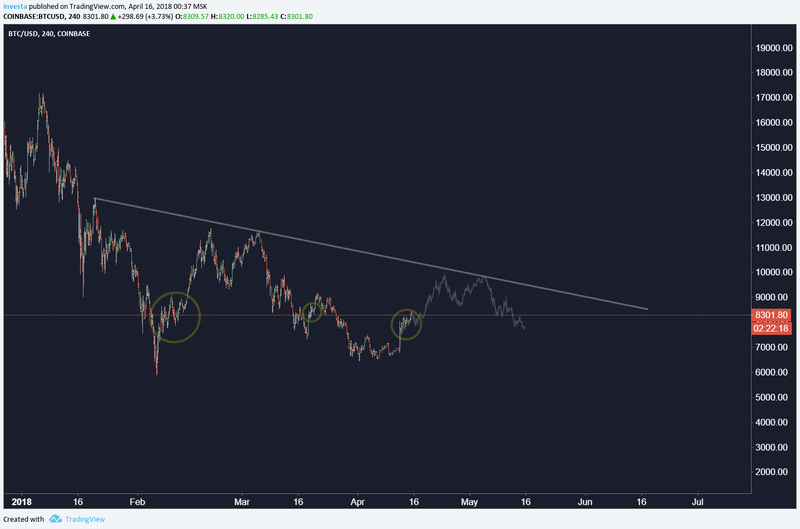 Going below that line will induce the next stage of panic sell. what black line? I see greys, Pick a diff backround color maybe or diff line color (yellow). WIll you ever post the hidden part of this chart? Also, you have enabled the "lock scale" option and its kinda hard to zoom in. @Acel, there is literally a continuation of the lines into infinity in the covered area. Ok, I will use that function less. To zoom easily into a "locked scale" chart just click on price scale, hold and drag the mouse point up to configure the most suitable zoom for your perception. @investa, yeah i know, but time scale moves too because of that option.